The active military community of Thunder Bay traces its history back to 1885. During two World Wars, Korea, numerous Peacekeeping and NATO missions and at present, men and women soldiers from Thunder Bay are serving their country in Afghanistan. Today, this community composes not only a small cadre of full time Regular Force Soldiers and over three hundred Reserve Force Soldiers, but there are also several Cadet Corps and veterans who are members of the Royal Canadian Legion. Together they compose a dynamic group which contributes economically to the City of Thunder Bay as productive employees, business owners, and as well members of various community groups. One of the many heritage buildings in Thunder Bay is the Armoury at 317 Park Avenue. Construction began in 1913 and took nearly a year to complete. When it opened in 1914 it was a monumental construction project for the Lakehead at a time when the construction industry was experiencing a shortage of work. The new Armoury was part of increased government support for the Militia as the Army Reserve was known at the time. In 1984 an annex was opened on the east side of the building, which retained the original brick Baronial architectural style. The main urpose for the Armoury was to provide a facility in which to store military weapons and equipment, provide training facilities and administer the part-time soldiers who serve their country in the Militia and later the Army Reserve. The Armoury was the focal point of mobilization of the 52nd Battalion, Canadian Expeditionary Force during World War 1 and the Lake Superior Regiment (Motor), in World War 2). Over the years the Armoury was also home to other units, including among others the 96th Lake Superior Regiment, 10th Divisional Signals, 4 Field Ambulance, 118 Medium Battery, Royal Canadian Artillery, 35 Technical Squadron, Royal Canadian Electrical Mechanical Engineers, 138 Transport Company, the Lakehead Service Battalion and for a brief time the HMCS Griffon before they acquired separate facilities. Today the Armoury is home to the Lake Superior Scottish Regiment, 18 Field Ambulance, 3 Squadron of 38 Signal Regiment, and 18 Service Company. 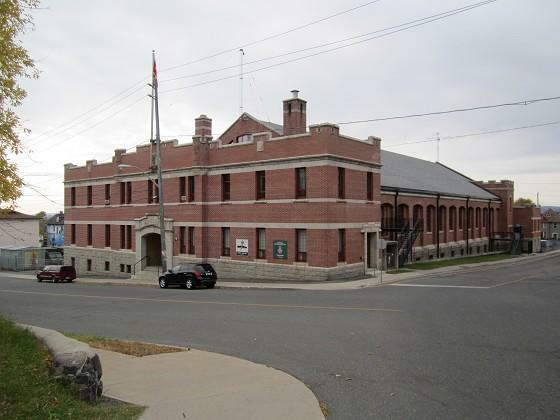 In addition 2511 LSSR and 2294 18 Service Battalion Royal Canadian Army Cadet Corps are housed in the Armoury. Another important feature of the Armoury is the Thunder Bay Military Museum, which is a tri-service museum. The museum’s mission is to preserve documents, photographs and artifacts relating to the naval, military and air force heritage of the region. Among the various displays of military weapons, uniforms, badges and the memorabilia is the noted prisoner of war art collection by former German submariner George Hoegel. One of the other justifications for the construction of the Armoury at the time was that the large drill floor could be used by the community. For example Dr. Nathan Hatton in his recently published book, “Rugged Game: Community, Culture and Wrestling at the Lakehead to 1933,” noted that in the 1920’s the Armoury was the venue for several professional wrestling matches. On other occasions there were concerts and socials held by community groups. The Officer’s Mess was one of the focal points of social life and over the years many people can recall attending dances, Christmas parties and formal dinners there. One such activity is the Military Ball, which has it’s origins in the formal affairs held to bid farewell to the men departing for service overseas during the First World War. In its present form, the Military Ball is usually held annually in the spring and it is perhaps one of the few strictly formal social events held in Thunder Bay, where the military community, local VIP’s and invited public mingle. Attendees to this invitation-only event wear formal dress uniforms, tuxedos and full length ball gowns. 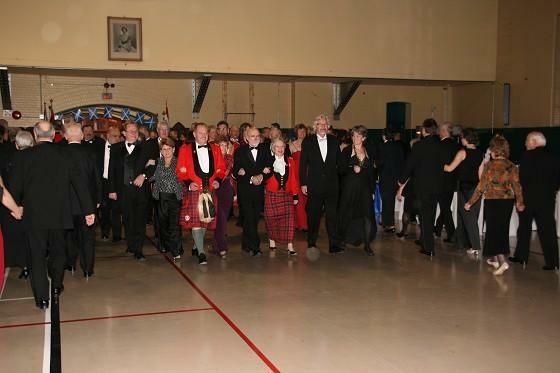 In addition to a meal catered by one of the city’s finest restaurants, guests at the Military Ball will be entertained by a tattoo performed by the MacGillivray Pipe Band and dance to the music of a well-known local dance band. The Military Ball will be held at the Armoury on 13 April 2013. The theme is the 100th Anniversary of the construction of the Armoury. This year’s organizers think that as always it will be a wonderful evening. For more information please contact Major David Ratz at 807-343-5106 or david.ratz@forces.gc.ca.